Our comprehensive approach is reenvisioning the treatment of brain tumors while reinforcing compassionate care. The Montefiore Brain Tumor Center’s multidisciplinary team comprises neurosurgeons, radiation and medical oncologists, radiologists, patient navigators and additional support staff so that we may offer our patients a complete spectrum of care. The integrated staff brings to bear the latest techniques and technology from diagnosis to surgery to radiation and aftercare. Our goal is to advance positive outcomes while providing patients with as many options as possible. Montefiore is well known for possessing state-of-the-art technology and technology implementation. 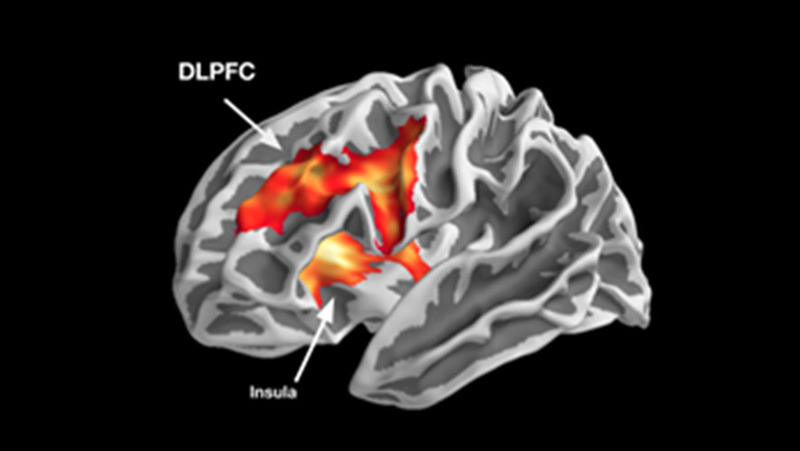 Our team uses high-resolution image guidance for brain navigation and continuous electrophysiologic monitoring of important brain structures. In addition, CT (computed tomography) scanning and ultrasound imaging during surgery adds to the world-class brain tumor care and superior outcomes we provide. 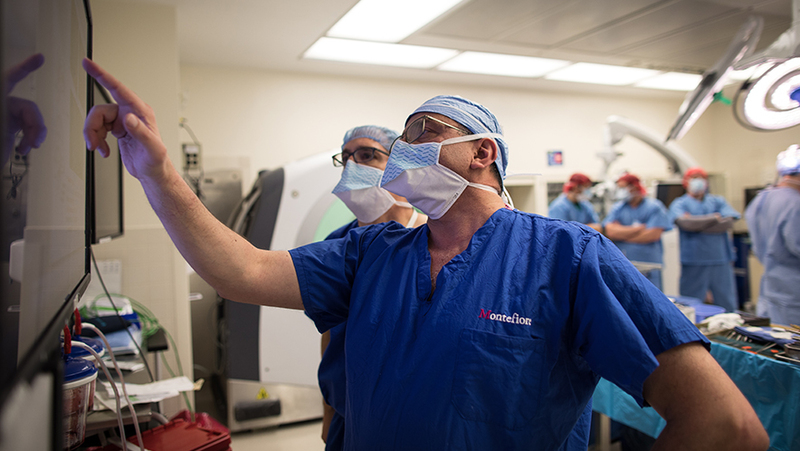 We deploy the latest technologies in the surgical management of brain tumors, including the highest quality imaging, intraoperative navigation and 5-ALA fluorescence to ensure maximal, but safe, tumor resection. Our specialists are trained in both minimally invasive and open or endoscopic approaches with extensive experience in difficult cases such as awake brain tumor surgery and surgery in eloquent portions of the brain. Every patient’s tumor is different and should be treated uniquely and individually. Our goal is to combine the latest medical and nonmedical technology with highly trained and skilled surgeons to provide outstanding care. Functional MRI imaging is used to identify critical or “eloquent” areas of the brain, such as the speech area, prior to surgery, to facilitate optimal brain tumor removal. Our multidisciplinary brain tumor team treats a vast spectrum of conditions, a selection of which you will find listed below. In addition to these, we have experience in treating many other conditions. Please contact us today to schedule a consultation so that we can review and discuss your specific healthcare needs. Treatment plans are designed to maximize our patients’ care, returning them to health as quickly as possible. For those seeking further information, we have included a few examples of the surgical and nonsurgical treatments we offer at the Montefiore Comprehensive Brain Tumor Center.